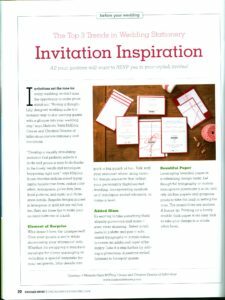 I’m thrilled to share the article that I recently wrote for Chicago Bride Magazine! 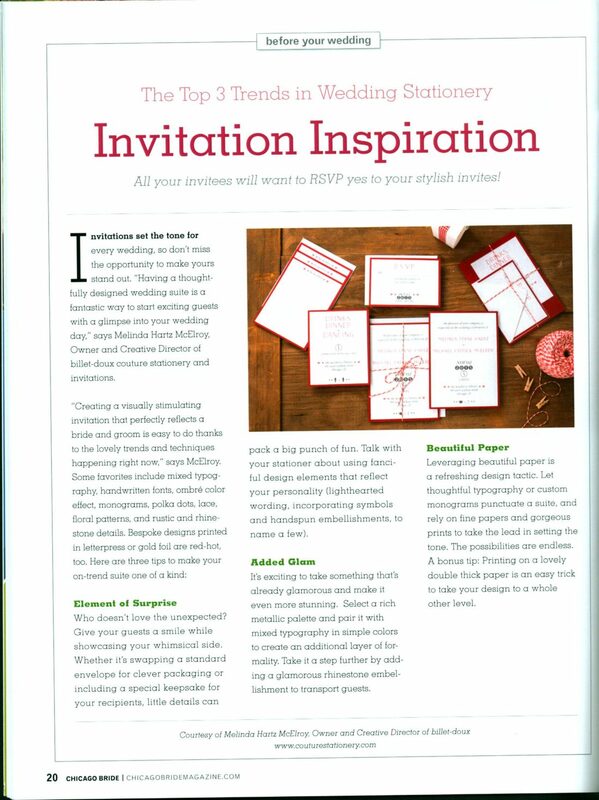 Read up on my favorite invitation inspiration & top trends happening right now. Lots of other great info in the brand-new issue on newsstands today!